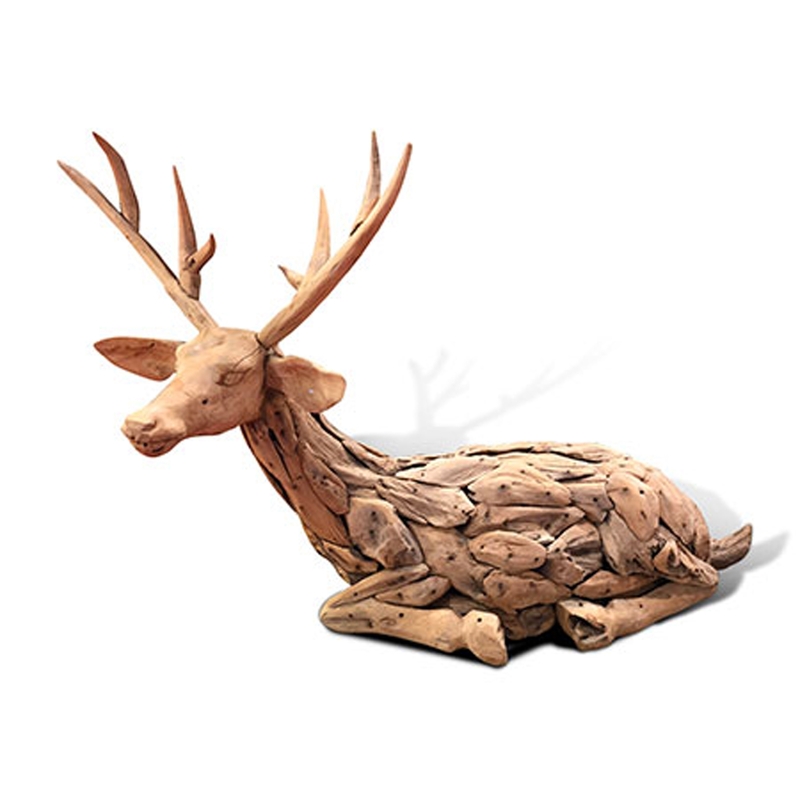 Make your home feel a lot more stylish and unique by introducing the wonderful Driftwood Sitting Reindeer Wood Carving. This modern sculpture has a stunning design that features a sitting reindeer. This piece is created from driftwood, which makes it look very warming and welcoming as well as modern.